Chicago has always taken a lot of pride in being "Home of the Blues," but its contributions to rock and roll have arguably been overlooked. Compared to other major cities such as New York, L.A. and Seattle, the Windy City doesn't generally get the recognition it deserves for consistently producing a wide variety of noteworthy acts since rock's beginnings. When examining chart hits of the 60s to the carefully crafted prog and power pop of the 70s to the DIY-spirited indie rock of today, though, it becomes apparent that our city has always had a lot to offer to music fans both locally and globally. Read on for a crash course in the history of Windy City rock. While British invasion acts such as The Beatles, The Rolling Stones, The Kinks and The Zombies defined rock and roll in the 1960s, a host of Chicago bands hit the pop charts alongside them. 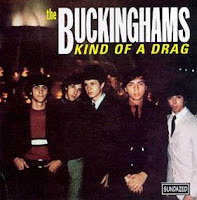 One such act was The Buckinghams, best known for their radio hits "Kind of a Drag," "Don't You Care," "Hey Baby (They're Playing Our Song)," "Susan" and "Mercy, Mercy, Mercy," all of which hit the Top 20. Originally known as The Pulsations, the band formed in 1965 and quickly changed their name after winning a local battle of the bands competition on WGN-TV. The success of these singles during the second half of the decade earned The Buckinghams the status of one of the top selling groups of their time before splitting in 1970. The band has since reformed, releasing new music and playing live. Also putting Chicago on the pop charts in the 60s were The American Breed, formed in Cicero in 1966. The band is best remembered for their hit 1968 single "Bend Me, Shape Me." The song also made the news more than 30 years after its release when its publishers sued alternative rockers Garbage for borrowing liberally from the song on their late 90s hit, "I Think I'm Paranoid." Keeping in step with the musical trends of the time, the Windy City rock scene in the early-to-mid 1970s produced a number of popular bands that fell under the categories of prog rock, album rock, or arena rock. Chicago, the band named after its home city, can be forever heard on oldies radio with early 70s rock hits such as "25 or 6 to 4" and "Saturday in the Park," and on power ballad compilations with later, saccharine cuts such as "Baby, What a Big Surprise" and "You're the Inspiration." Hailing from the University of Illinois in Champaign, REO Speedwagon formed in 1967 and released albums throughout the 1970s that perfectly reflected the popular prog rock and hard rock sounds of the decade. It wasn't until 1980, though, that the band would achieve mainstream success by shifting to a more pop sound, as evidenced by the hit singles from that year's "Hi Infidelity" record - "Keep on Loving You" and "Take It on the Run." 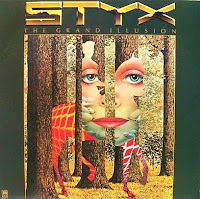 In the second half of the decade and early into the next, Styx would also have notable impact on AOR rock with prog and hard rock anthems such as "Come Sail Away," "Blue Collar Man" and "Babe." While these bands were scoring mainstream success with popular sounds of the decade, Chicago was also quietly producing a host of bands that took their cues from 1960s-esque pop melodies over arena and prog rock. The most notable of this camp was perhaps Zion's Shoes. The band was at the helm of some of the most melodic and pristine tunes in the history of power pop, including "Too Late" and "Tomorrow Night." Although they recorded into the 90s, their 1977 self-recorded album, "Black Vinyl Shoes," as well as 1978's "Present Tense" and 1980's "Tongue Twister," have reached particular cult status among power pop fans. Even more obscure in the power pop arena were Pezband, who combined early Beatles-inspired melodies with an unpolished edge over the course of three strong records, "Pezband" (1977), "Laughing in the Dark" (1978) and "Cover to Cover" (1979). And then of course, there's Rockford's Cheap Trick, who became Chi-Town's most successful power pop act by merging pop hooks with harder-edged rock to forever ingrain themselves into rock history with classics such as "Surrender" and "I Want You to Want Me." At the start of the 80s, Oak Park's Off Broadway carried on the Chicago power pop movement of the 70s, releasing two well-received (but since largely forgotten out of the power pop circle) albums, the first of which, "On," included the radio hit "Stay in Time." Soon, though, the sound of the Midwest in the 80s would shift away from those of the previous decade, making way for other genres such as alternative and industrial rock and punk. Ministry formed in 1981 and went on to have a huge impact on spearheading and popularizing industrial metal. 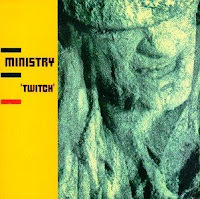 Years before Nine Inch Nails existed, Ministry owned the "industrial" tag and garnered legions of fans with an aggressive, sometimes abrasive sound that was largely out of character for the decade in which they were born. The band was active for over 25 years before retiring in 2008. Also on the rise in the 80s was the Chicago punk scene, with The Effigies at the forefront. The band formed in 1980 and was together for the entire decade, releasing five LPs before disbanding in 1990. As of 2004, they have reformed and played various Midwest punk bars. The 90s were perhaps the most important decade for Chicago rock and roll. The decade brought the world probably the most popular band to ever come out of the city: The Smashing Pumpkins. Although formed at the end of the 80s, it wasn't until the early 90s that the Pumpkins began releasing the albums that would define the 90s alternative rock sound, namely 1993's "Siamese Dream" and 1995's "Mellon Collie and the Infinite Sadness." In addition to their musical impact, the Pumpkins brought us the Windy City's most infamous and intriguing rock star personality to date in the form of front man Billy Corgan, who was still stirring controversy with live show rants as of late 2008. While The Smashing Pumpkins were Chicago's alternative rock superstars of the 1990s, Local H were a bit more subtly received, if not less acclaimed. The band scored a few hits, including 1996's "Bound for the Floor" and 1997's "Eddie Vedder." They're still playing and recording to a strong fan base today. While other bands were playing up the grunge and alternative rock sounds of the time, Material Issue rocked while keeping the plentiful hooks and melodies of power pop alive. The trio, fronted by the late Jim Ellison, released three albums before Ellison's tragic suicide in 1996. Over the course of their existence they left us with a canon of timeless power pop songs, including "Valerie Loves Me," "What Girls Want" and "Kim the Waitress." Then there's Liz Phair. Before morphing into a pop star at the turn of the century, Phair personified the do-it-yourself indie rock movement that kicked off in the 90s. 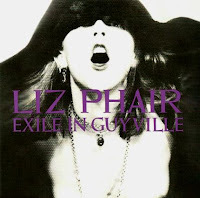 Her debut album, "Exile in Guyville," featuring songs such as "6'1"" and "Never Said," is often listed among the most important rock records of all time, influencing countless followers with its lo-fi approach and lyrical rawness. Another revered Chicago band to come out of the 90s is folk rock/alternative rock favorites Wilco, who sometime between their formation in 1994 and today, became a sort of untouchable force in local music with their diverse sound and songwriting talents. In the 00s, Chicago artists found success with a wider variety of sounds than ever, including mainstream pop-punk, indie rock and singer-songwriter. As pop-punk and mall rock became forces to be reckoned with, local acts stepped up to meet the demand. Wilmette's Fall Out Boy is perhaps the most widely known of the lot, scoring major mainstream success with the pop punk sound via albums such as "From Under the Cork Tree" (2005) and "Infinity on High" (2007) and singles such as "Dance, Dance" and "Sugar, We're Goin' Down." Other local acts that have reached a similar audience include The Academy Is..., Plain White T's and Lucky Boys Confusion. At the same time, many other rock styles have brought Chicago bands to mass recognition. The Redwalls have risen to prominence with their Beatles-esque indie rock, Andrew Bird has garnered massive recognition with his carefully-crafted folk pop and Alkaline Trio have amassed a loyal following with their hard-hitting brand of punk. As the decade comes to a close, it seems the door is wide open for any style of rock out of Chicago to make a mark. If the city's musical history is any indication, there's plenty of greatness to come. The Buckinghams, The Ides of March, and Ronnie Rice. You forgot the Shadows of Knight, Cryin' Shames, New Colony Six, Ral Donner. I think The Cryin' Shames played at our High School Prom. How could you forget Chevelle? Ted Nugents is from Detriot not Chicago. Hence his nickname "The Motor City Madman"